What are journalists useful for? This is the question Mexican journalist Javier Garza tried to answer in the first publication of the blog "Tenemos que Hablar, un blog contra el silencio en México” (We have to talk, a blog against silence in Mexico). 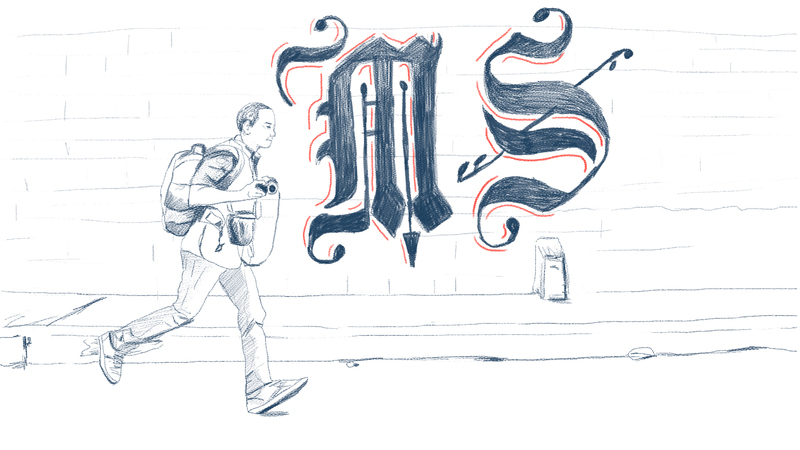 The blog emerged, like several other projects in Mexico, after journalist Javier Valdez was murdered in Sinaloa. The renowned reporter, who covered drug trafficking and organized crime, was killed on May 15, 2017, one block from his office, after being shot 12 times. According to one of the blog's editors, José Luis Pardo, this space seeks to help better explain the current situation of journalism and journalists in Mexico, the deadliest country for the profession, worldwide, that is not in armed conflict. The blog was created by the Mexican independent journalism site Horizontal, with the help of and on the initiative of USAID Mexico. "It's called 'Tenemos que Hablar' because it's a phrase someone is told when you have something important to say," Pardo, also editorial director of Horizontal, told the Knight Center. It was important to have a continuing debate on freedom of expression and all that it implies, he added. The Mexico office of the U.S. international development agency USAID, as part of its ProVoces project, asked Horizontal to create and produce the blog. The project aims, according to its site, to strengthen the commitment and capacity of the Mexican government and the country’s civil society organizations to operate and maintain efficient systems of protection and security for journalists and human rights defenders. Since Aug. 14, 2018, "Tenemos que Hablar” has been publishing four entries each month, all on a specific issue related to freedom of expression and the exercise of journalism. According to Pardo, they will have covered 12 themes by the end of the first year. The entries have taken on multiple formats. There are texts of approximately one thousand words, videos of up to ten minutes, photographic series and short podcasts. Guillermo Osorno, general director of Horizontal, explained to the Knight Center that the blog is a self-critical space where journalists have their own voice and tell their own experiences and expectations regarding freedom of expression. According to Osorno, USAID Mexico sought out Horizontal after it organized, along with other media, the “Agenda de Periodistas.” This event, which took place from June 14 to 16, 2017, brought together about 400 journalists and more than 50 national and international organizations following the death of Javier Valdez. The goal, which Osorno said was never achieved, was to present proposals to the Mexican government and international organizations that promote and guarantee total freedom of expression in the country. In terms of the blog, the topics covered during the first months included freedom of expression, violence against journalists, protection mechanisms, business models and censorship and self-censorship. Likewise, they close the topics each month with a round table that sometimes takes place in Mexico City or in some other city in the country. Care is also taken to focus on gender, Osorno said. In that sense, he stressed, they always try to make it equitable. "In Mexico, women [journalists] have been braver in denouncing state violence, drug violence and violence against journalists in general. It has not been difficult to find different voices," he said. The idea of the blog, in general terms, is precisely to show why journalism is important, said Javier Garza, author of the first blog post. "Why a society, citizens, a community, needs to have strong journalistic organizations and journalistic products that are strong, that are trusted," Garza said. "Why it is important that the information is solid, verified, that it has all the standards of rigor in an environment in which the sources of information are changing and many of those sources do not have the standards and the professional rigor that the journalists bring," he continued. Not only Mexican journalists write for the blog. There is also participation from journalists from other Latin American countries where practicing journalism is risky. For example, Óscar Martínez from the investigative journalism site El Faro, in El Salvador, wrote the entry “Ligerezas para cubrir violencia” (Ease to cover violence). In it, he tells how the journalist’s ability can determine what type of themes they can cover. Martínez’s entry opens saying: "One is the infallible lesson in terms of security that we have learned in Sala Negra of El Faro in these eight years of covering violence: the only way to avoid any risk by doing journalism in environments such as northern Central America is not doing it. From there, we can advance." Another guest journalist who collaborated with the Mexican blog is the Colombian journalist Juan Diego Restrepo, from the site Verdad Abierta. In his entry, "An inevitable abduction,” Restrepo recounted what he experienced as a journalist when he was abducted in 2015 by young members of an armed group in northeastern Colombia. 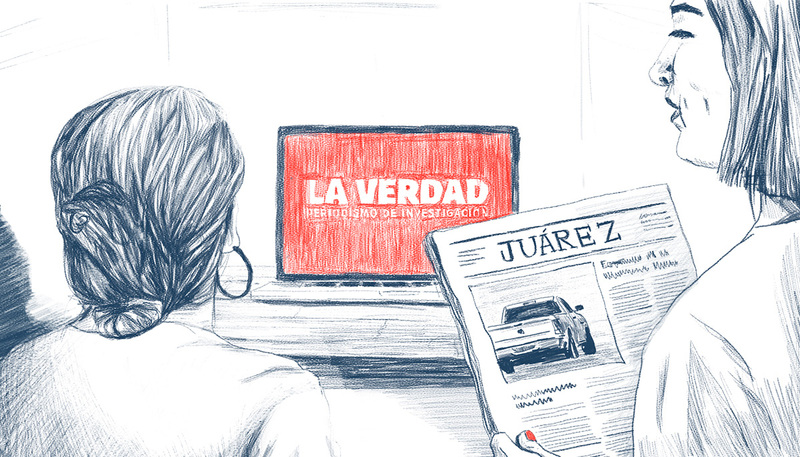 In another of the collaborations for the blog, this time by Mexican journalists from Chihuahua, Rocío Gallegos and Gabriela Minjáres, narrated how they carried out the idea of opening their own independent media outlet, called “La Verdad, periodismo de investigación.” With 22 years of work experience in traditional media, and with the support of the Red de Periodistas de Juárez, they decided to undertake this new challenge. "We set out to go beyond the click and 'like.' We do not seek to be the first to publish the news, but first to explain them, analyze their consequences and investigate what lies behind the facts. Even so, we have had our hits and set the agenda on some issues," they wrote. "We think that, in the end, something very empathic and very didactic about what it is like to be a journalist in 2019 is being built," Pardo concluded. In addition, he announced that at the end of the first year of the blog they may publish a compendium of all the stories, testimonies and reflections that the collaborators wrote, which, he said, could be very useful to journalism students and young journalists from Mexico and also from other countries in the region to understand the ecosystem in which they will practice the profession.